Rock Springs, Wyo.—less than a three-hour drive on Interstate 80 from Salt Lake City—is a landscape very different from the Wasatch Front, featuring sand dunes that seem to run on forever, and places to watch herds of wild horses running free. Yet it’s also intimately tied to the Salt Lake Valley through its history. Visitors can reach right down and touch the exposed ruts where the wagon wheels of the first Mormon pioneers rolled through on their way to the Salt Lake Valley in the summer of 1847. Whether tracing history or making it, there are many ways to experience the wilderness around Rock Springs. One of the highlights of the area is the Pilot Butte Wild Horse Scenic Loop. The 24-mile drive on a gravel road offers a good chance to happen across one of the herds of some 2,500 wild horses found in the area. The Killpecker Sand Dunes are 70 miles long, with some of the swells rising over 100 feet. This naturally makes them a big attraction for motorcycle and ATV riders, but the dunes are also a great place to get (figuratively) lost in the enormity of it all or feel like a kid again as you roll down a sand hill. While the pioneer trails go back a couple of centuries, there are portions of the White Mountain Petroglyphs, 26 miles east of Rock Springs, that date back more than 1,000 years. Located along a brown sandstone cliff, some of the dozen panels rise to 40 feet in height. Those looking for more of an aquatic adventure can stop off I-80 in Green River, just 18 miles before reaching Rock Springs. A popular activity is to find something to float on—raft, kayak, etc.—and jump in the river west of town. The ride takes you to Expedition Island, right in the heart of the town, where you can jump out and enjoy a splash park, open Memorial Day through Labor Day. The Green River eventually runs to Flaming Gorge National Recreation Area. The 91-mile reservoir straddling the Wyoming/Utah border south of Rock Springs is known for its beautiful scenery and outdoor recreation. Taking in the beauty of the gorge by car on the way to or from Rock Springs is an option if you plan some extra time for the drive. Sweetwater County is home to more miles of still-visible pioneer trails than anywhere else in America. 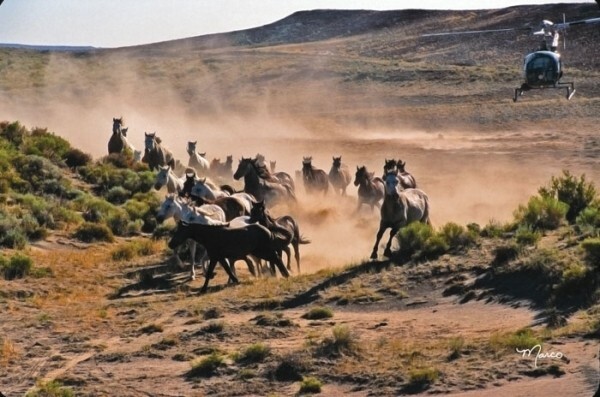 The Oregon, California, Pony Express and Mormon pioneer trails are easy to follow as you head along Highway 28, a two-lane road north of Rock Springs. There are markers along the way—typically just about 50 to 100 yards from the road—that give information about when groups came by, or important events that took place at that location. You simply pull over, walk out to the markers and follow the tracks. There are also interpretive stops giving information about different groups and their journeys. It’s one thing to know the history of a place or people. It’s another to actually be there and touch the tracks while taking in the landscape and imagining what it must have been like to camp there in the 19th century. Information about the trails and activities can be found at TourWyoming.com. The website also has itinerary suggestions for the area, which has more than 2,000 hotel and motel rooms. Between activities and trails, head into town for unique dining options. Credit Bitter Creek Brewing (604 Broadway, 307-362-4782, BitterCreekBrewing.com) with doing something that, in hindsight, seems completely obvious: putting artichoke dip on a burger. The result is the All Choked Up burger, which can be paired with one of the handcrafted microbrews such as Sweetwater Wheat or A Beer Named Bob. Coyote Creek Steakhouse & Saloon (404 N St., 307-382-4100, CoyoteCreekRS.com) is a Rock Springs original with a menu focusing on steaks and seafood. The specialty entree is the Coyote Creek club steak, which comes topped with caramelized onions and blue cheese. Getting to many of the outdoor activities in the area requires passing by Farson Mercantile (4048 Highway 191, 307-273-9511, FarsonMerc.com) at the intersection of highways 28 and 191, 40 miles north of town. Stop in at the “Home of the Big Cone” for ice cream served in scoops the size of your fist before or after you head out for an adventure. In 1847, it took the pioneers 26 days to get from Rock Springs to the Salt Lake Valley; there was precious little food, and absolutely no time for recreation along the way. In 2014, you can easily turn the trip into a getaway, while enjoying food, recreation and diversions—all while appreciating that you’re not a pioneer.